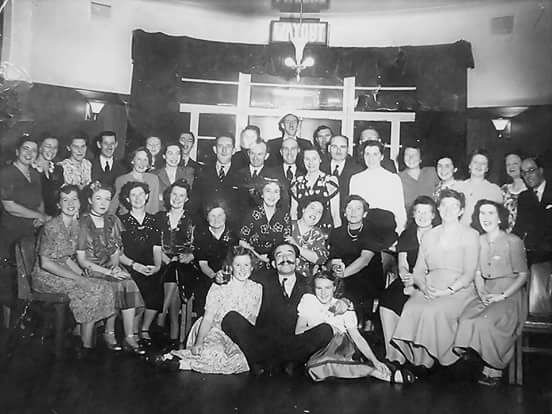 Belmont Theatre Company (originally known as Belmont Players) was formed in 1946 as the drama section of the Belmont Community, in Harrow, Middlesex. Its first public performance was Charity Begins in 1947. Over the years Belmont developed into one the most successful and well-supported drama societies in Harrow with a nucleus of loyal and devoted members. Initially performing in church halls, the group started performing at the Harrow Arts Centre in the early 1990's, moving from there to The Pump House Theatre, Watford in 2007 when the Arts Centre temporarily closed. The group is now a Resident Company at The Pump House Theatre & Arts Centre in Watford and performs all its productions there, with rehearsals mainly being held at a hall in nearby Carpender's Park. The Pump House was originally a water pumping station which was converted to a community theatre around 1972 with seating capacity of 124. The theatre has raked seating and excellent theatrical and audience facilities, a far cry from the church halls where the group began. Despite the move away from our Harrow origins, we have retained the nucleus of our membership and much of our former audience, whilst gaining more from the south Hertfordshire area as our local reputation grows. We now regularly achieve full houses and often have to turn many away. We regard every empty seat as wasteful, given the effort put into every production and so promote ourselves as fully as our resources permit. Belmont Theatre Company normally presents three main productions a year with a variety of shows ranging between comedies, thrillers, farces, dramas and musicals. For instance, in October 2017 we performed a Terence Rattigan classic play ' Separate Tables', and in 2018 we are planning to stage a comedy, a farce and a poignant, commemmorative drama. We occasionally stage musicals. For instance in 2009 we were one of the first amateur groups to stage The Likes of Us, the first musical written by Tim Rice and Andrew Lloyd-Webber and in November 2012 we staged a large-cast musical, Jack The Ripper. Although we are all unpaid volunteers, we aim for professional standards in everything we do, both on- and off-stage. As a result we have become one of the leading amateur drama groups in northwest Middlesex/south Hertfordshire, having garnered several awards as members of NODA (The National Operatic and Dramatic Association) and participants in the Barnet and District Drama Festival (in association with Barnet Council). Our ranks have included actors who have gone on (or are planning) to become professional. Putting on shows and the general running of the group, requires a considerable amount of time from our members, who volunteer as much of it from their busy lives as they are able. We always need more adult members of all ages to share the load (and share the fun), not only to act but also to play key roles behind the scenes (lighting, sound, stage management, set construction, continuity, props etc. ), in front of house, promoting our shows, gaining new members or to help run the group. If you have a skill, trade or profession, the chances are we can use it somewhere. We are a friendly group and have a lively social scene and participate in many special events. That ethos is something that hasn't changed since we started in 1946. ............And the founding fathers and mothers of 'Belmont Players' are proudly looking down on you now. And here they are in 1947.